Free, passionate, curious, constantly seeking stories and running after images, Laffont photographed everything, crises, tragedies, daily news, the politics of the White House and the United Nations. Laffont thrived on working alone and only on stories of his choosing. He wrote his itineraries, made his appointments, paid his expenses, developed his films, edited his photos, and wrote his copy. He worked “on speculation”, disliked working on assignments and the needs of the marketplace never entered into his decisions to cover this or that story. Driven by his own insatiable curiosity, Laffont travelled all fifty of the United States to document a broad swath of the country’s fabric. Laffont captured America through some of its most turbulent eras— seminal moments that may now even seem commonplace but were revelations at the time. The book is organized by decade, taking us across the nation, from the funerals of Dr. Martin Luther King Jr. and Robert F. Kennedy to the Washington D.C. protests against the Kent State killings, Laffont is witness to history as it unfolds before his camera. 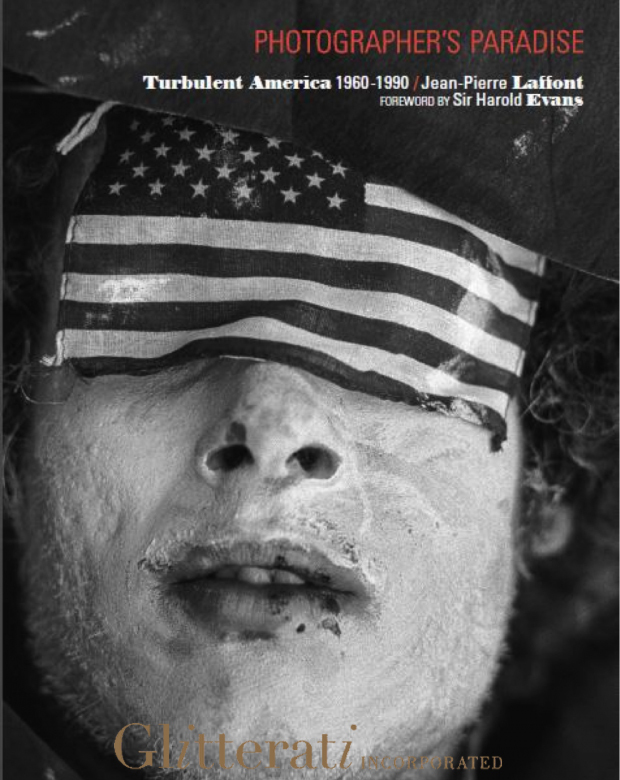 Due for release in September 2014, Photographer’s Paradise: Turbulent America 1960-1990, Glitterati Inc. is a hardcover photography book, and contains 392 pages, with 359 black and white and four-color photographs. It is on sale at your favorite book store as well as on Amazon. Glitterati Inc. won the Lucie Award “Best Publisher of the Year“ for Photographer’s Paradise: Turbulent America 1960-1990. The French book jacket for ‘Photographer’s Paradise: Turbulent America 1960-1990’. Posted in English and tagged with Glitterati Inc, Photographer's Paradise, press release. RSS 2.0 feed.